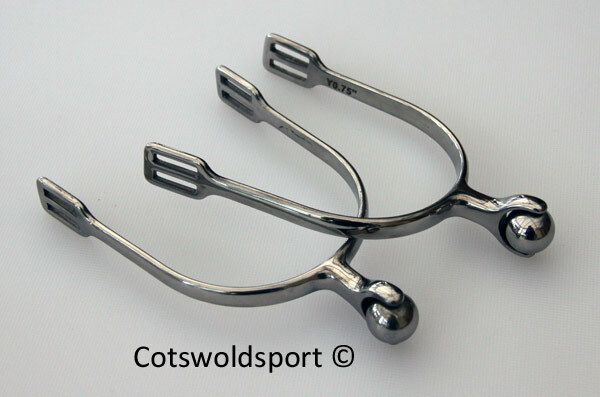 This is a curb gag made with our tongue saver German Silver mouthpiece, designed to give tongue relief. 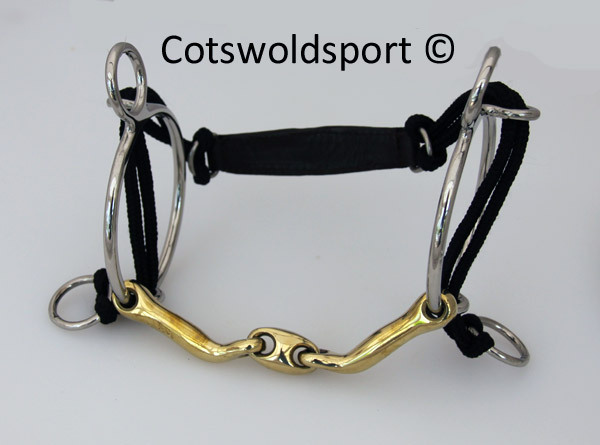 This bit conforms to the shape of the horses mouth and relieves fat tongues, and appeases horses that show tongue pressure symptoms such as poking tongues and head tossing. 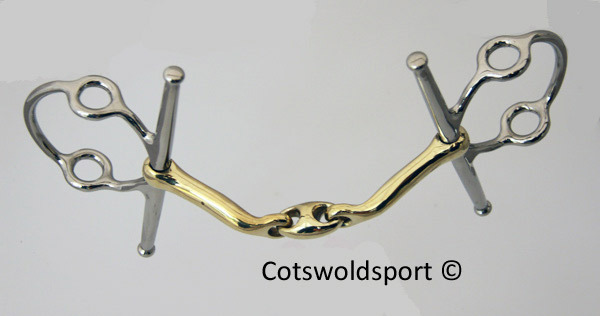 Curb gags are relatively new to market, but have been used by many top riders including Ellen Whitaker and William Fox-Pitt. 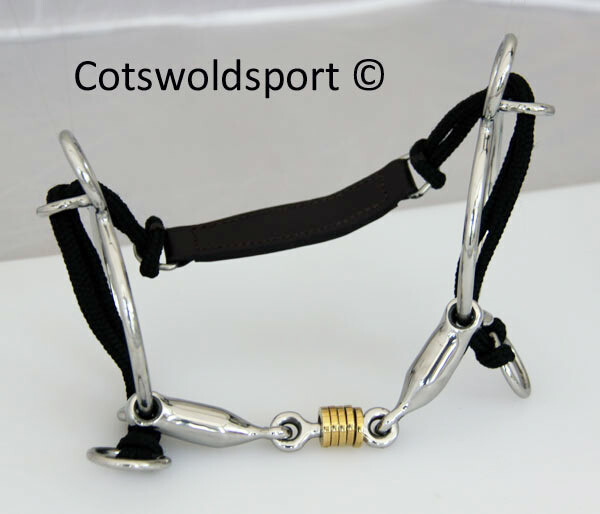 The curb gag has a sliding rope you attach reins to to apply pressure to the horse's curb groove via the leather pad, with minimal poll pressure. 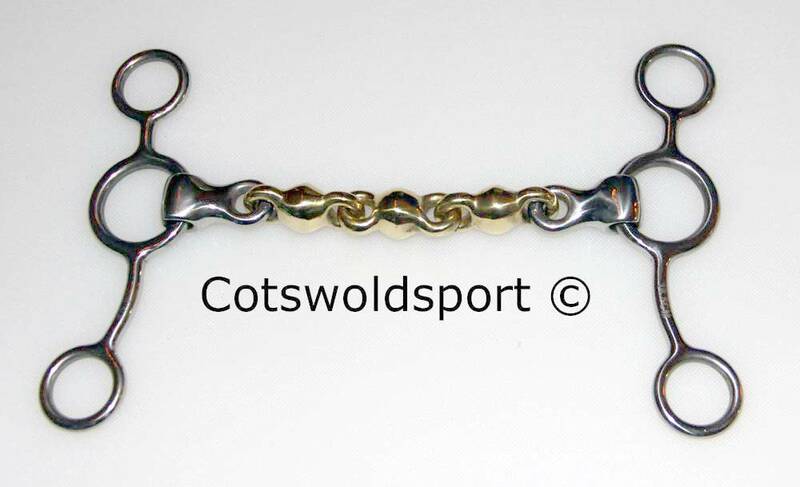 This is a milder action than most mechanical gags and is ideal for horses who react violently to stronger bits. 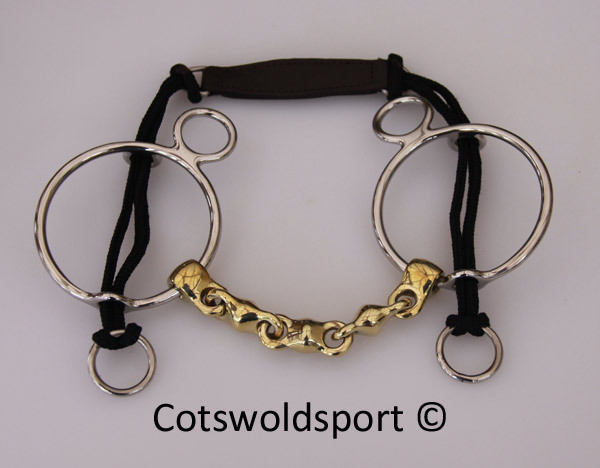 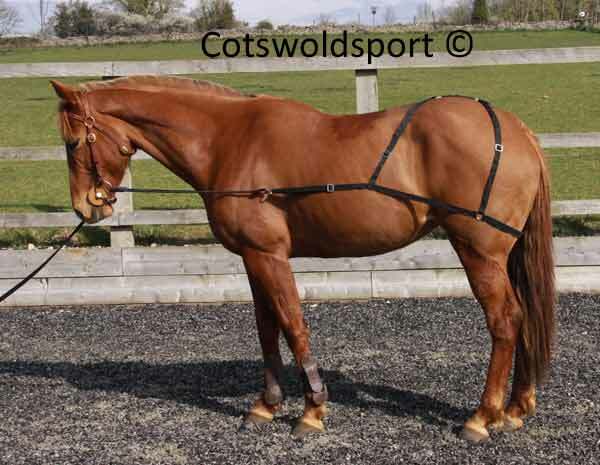 Ideally this bit should be used with two reins, but can be used with one, roundings or split reins.